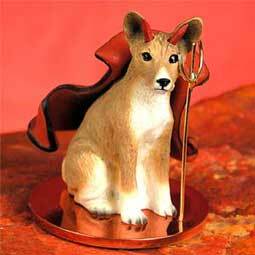 The Basenji is a muscular, elegant breed originating from Africa where they are used as hunting dogs. The breed is commonly referred to as the barkless dog but not silent, when excited they make a noise similar to a yodel. The AKC recognized the breed officially in 1944 as a member of the Hound Group. The ideal size ranged from 16 to 17 inches at the withers, and weight between 22 to 24 pounds. Their coat is smooth and short with a high curled tail and coloring includes chestnut red, pure black or brindle all with white feet, chest and tail tip. The Basenji is an intelligent, independent, but affectionate and alert breed. Can be aloof with strangers and likes to meet people on their own terms, and it is thought they have no dog odor.